What’s new: Not a lot, a welcome change for Roush Fenway Racing which has undergone organizational-wide tweaks in recent years. No new drivers, no new crew chiefs and no change in the number of full-time vehicles in the team fleet. In fact, the only real change here is a positive — Roush enters 2018 on the heels of a multi-win season, with Stenhouse Jr. winning twice in 2017 and advancing to the Round of 12 in the Playoffs. What to watch: How Roush Fenway builds off the success of 2017. The team won for the first time since 2014 with Stenhouse Jr. emerging as one of NASCAR’s best drivers at Daytona and Talladega. The team’s superspeedway cars are among the fastest in the garage, thanks to the work done at the shop by Jimmy Fennig and his team. Roush is as stable as it has been in a long time. Key question(s): Can Stenhouse Jr. and the No. 17 team show the ability to win at tracks that don’t require restrictor plates? How can Bayne and the No. 6 team break through for more top-five finishes and be in contention more for victories? Trevor Bayne, No. 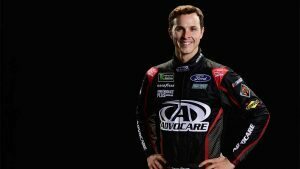 6 AdvoCare Ford: Bayne’s third full-time season driving the No. 6 in 2017 didn’t produce the same jump in numbers he saw between Year 1 and Year 2. Two top-five finishes and six top-10 finishes wasn’t what Bayne or his team had in mind; neither were the five DNFs by way of crash, a four-time increase from 2016. A key to watch for Bayne is the midseason stretch. The 26-year-old logged seven top-15 finishes in the first nine races last year, but then just one of the next 13. The success of teammate Ricky Stenhouse Jr. brings added optimism to the No. 6 group. Ricky Stenhouse Jr., No. 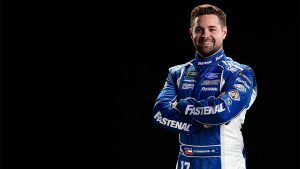 17 Fastenal Ford: Last year was the breakout season Stenhouse Jr. had been building toward since his first full-time season in the Monster Energy NASCAR Cup Series in 2013. With an assist from Jimmy Fennig managing and molding the team’s superspeedway program into one of the best in the sport, Stenhouse posted career-highs in wins, top-10s, laps led, average start and average finish in 2017. He will be a favorite to win both races at Daytona and the spring race at Talladega prior to the Playoffs beginning in September. It’s the intermediates that remain a question, however.It’s the intermediates that remain a question, however.